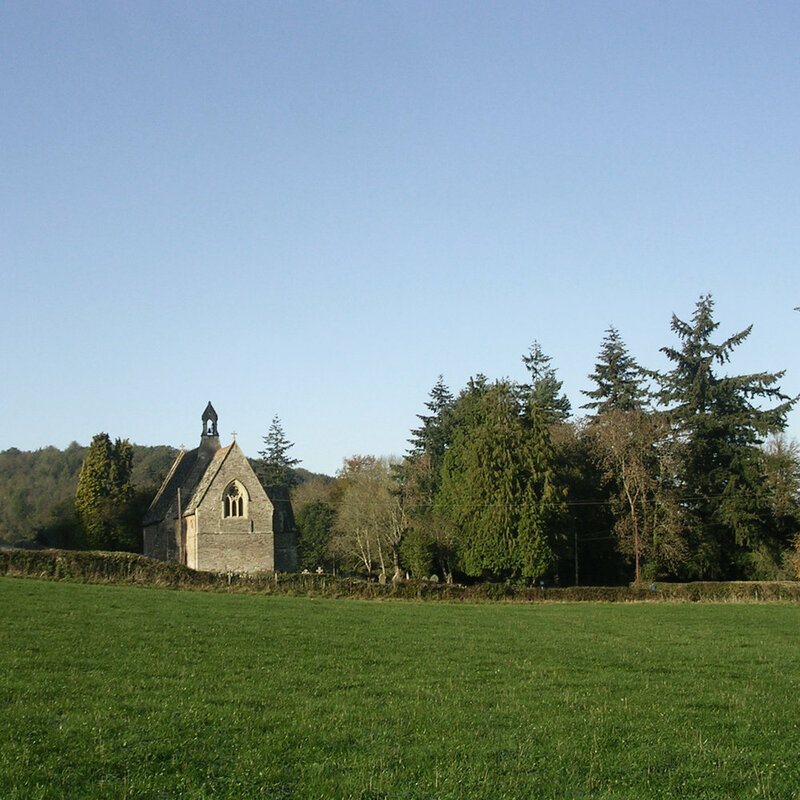 The team behind the Virtuous Circles project has secured a grant from the HLF to develop a pilot project at Grade II listed St. Michael’s in Dulas, amongst the peaceful hills of Herefordshire’s ‘Golden Valley’. 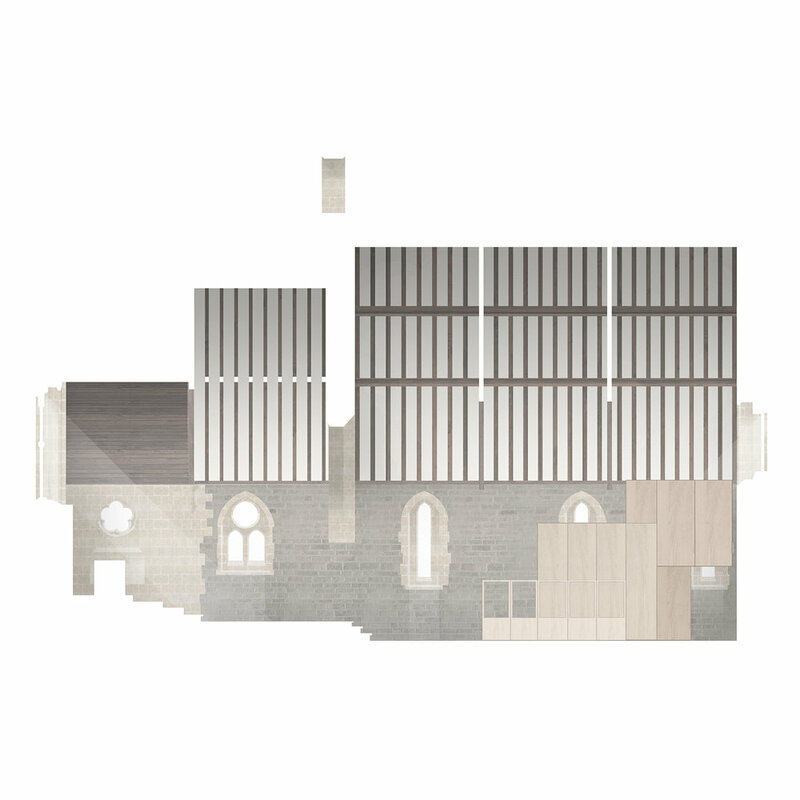 The scheme proposes a lightweight, free-standing and reversible living pod in the nave of the church to house short term holiday lets, thereby securing a self-sustaining income to fund the upkeep of the church. Work to deliver the scheme will also reinforce local ties by creating new community volunteering opportunities, training in craft skills, open days, and flexible end uses. 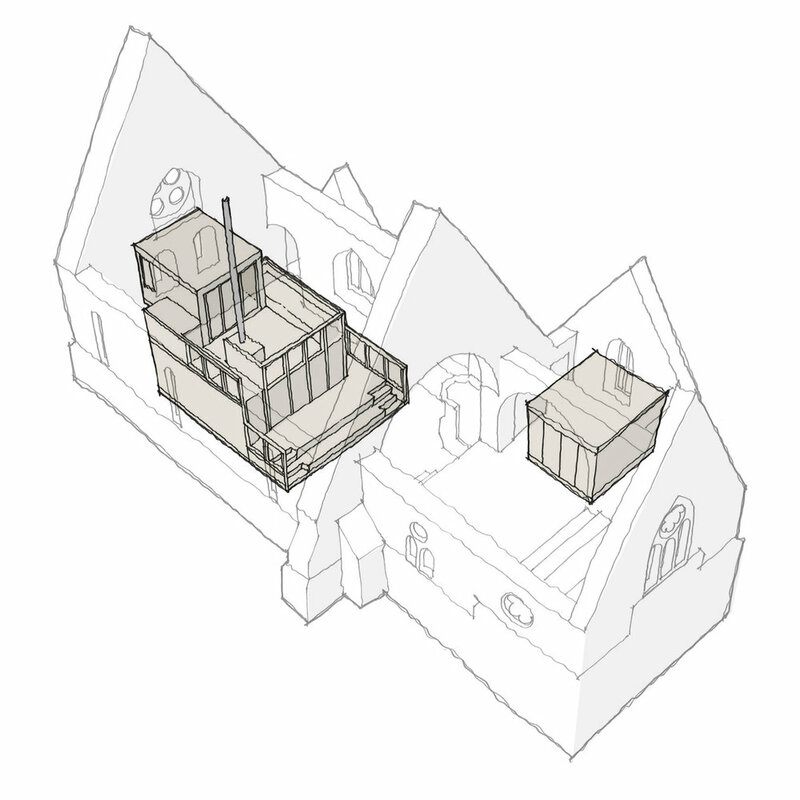 The design of the pod is modelled to align with key views within the nave; reinforcing a legible language of subservience to the existing space; more akin to a piece of furniture such as a box pew or rood loft. Three simple cabins house bedroom, living and kitchen, with a raised deck creating a sense of separation for the new use; dwelling spaces arranged around the hearth of a wood burning stove. Proposals for St.Michael Dulas were approved for Planning Permission, Listed Building Consent and Faculty in Spring 2017. 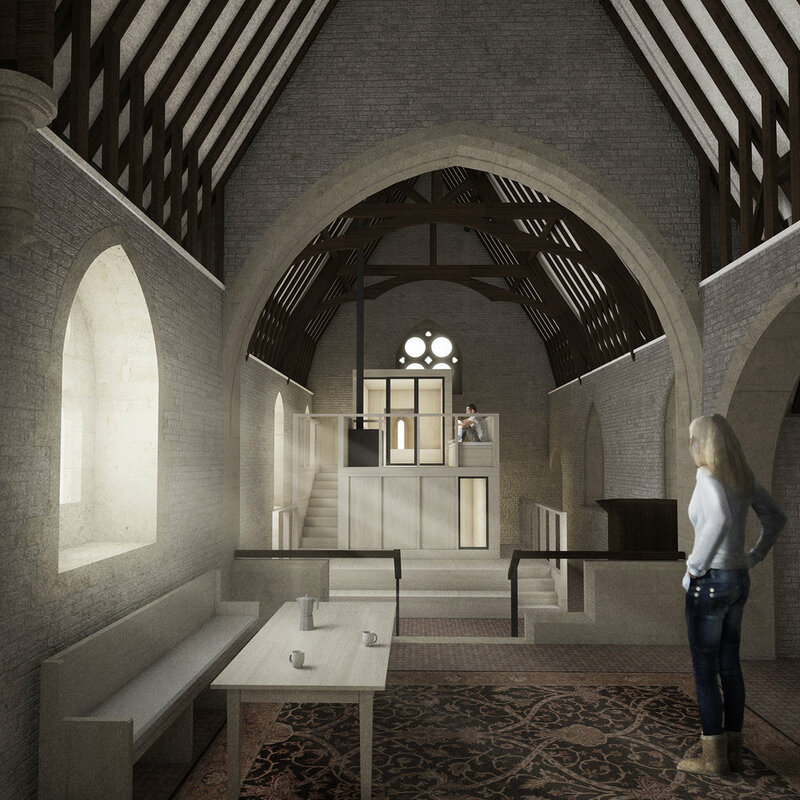 Fergus Connolly and Charlie Wellingham led the Design Team for St.Michael's whilst working at FCBStudios. All images c.FCBStudios.